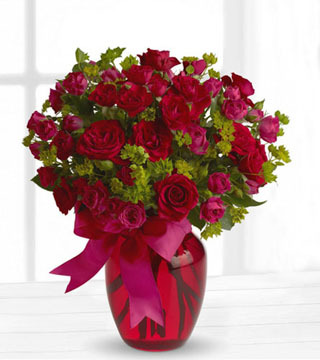 No matter the budget or amount you choose, send your love with red flowers. 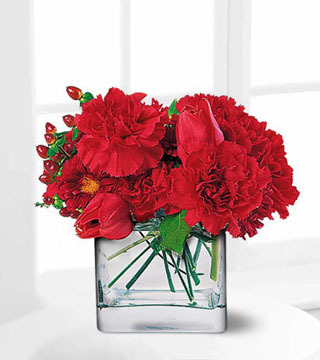 This Passionate Reds Bouquet is a great choice and will have a large impact without making a huge dent in your wallet. 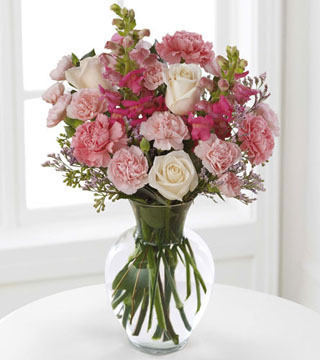 Red carnations, asters and hypericum berries will be long lasting, just like your love.